LPG Safety Device is an emergency shut off device used to cut off the supply of gas, when any major risk takes place in the system. This is one of the reliable tools to ensure to provide complete safety and security to the spaces from any kind of mishap caused due to leakage of supply from gas cylinder or stove. 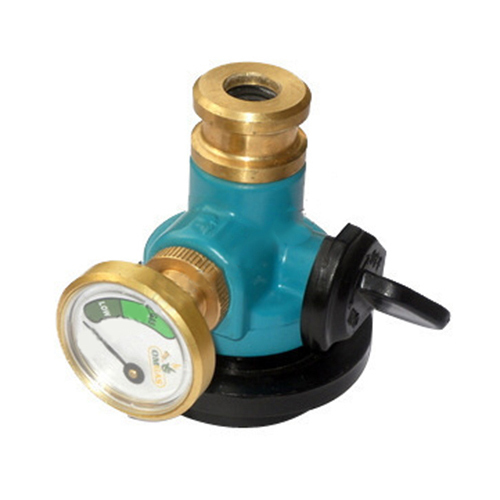 This is designed with high-end facility to check the leakage and replace the ordinary LPG regulator having double safety. In addition, it does not come off while the knob is "off" or âonâ mode. It can be detached by pressing the side button. Therefore, it ensures to provide 200% safety. Moreover, in case of excess gas flow or any major leakage, this LPG Safety Device shuts off complete LPG supply to the system and ensures insufficient flow at the place of the leakage to save life.